Haven't finished listening to it yet, about half way through. 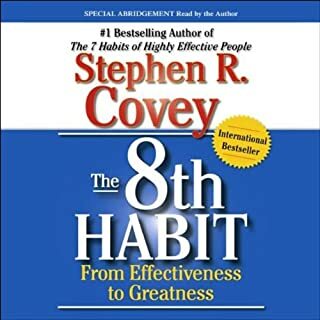 So far it is okay, would recommend 7 Habits of Highly Effective People by S. R. Covey if you already haven't read it. Just a lot of examples of win win thinking. Main problem with this audiobook is the Narrator. I think he would be good for books of fiction, not with this book. He makes it hard to listen too. Slowly listening to the book despite him, but he makes it difficult. I can only listen to him in small chunks. I would avoid any book narrated by him in the future. Not the best narration. A long book with some clear messages. 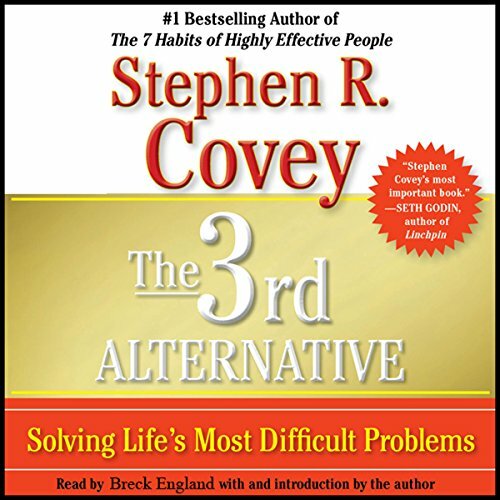 As usual Covey really delivers deep insight into our lives. Could have been shorter, but worth listening to. 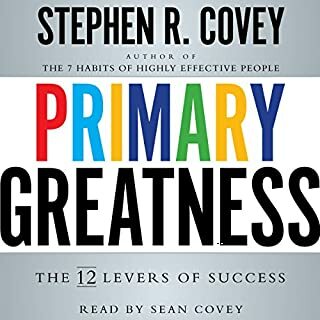 The narrator tried to sound like Stephen Covey but his lows were too low and I found myself adjusting the volume throughout. Would you listen to The 3rd Alternative again? Why? What other book might you compare The 3rd Alternative to and why? This book will shatter your ideal of compromise being the best way to handle strong or minor differences. Don't get me wrong. The message of the 3rd alternative is insightful and useful. It would have been a revelation in a 20-minute lecture. But this went on for 14 hours. Similarly many of the stories used as illustrations were useful and contained some sage advice, however most had nothing to do with the point of the third alternative. The better stories were about thinking outside the square, not a 3rd alternative. Save yourself the time and read a book summary. Great motivational and practical book. I enjoyed listening to this book. I think i will lisyen to it a few times. There is do much for me to learn. 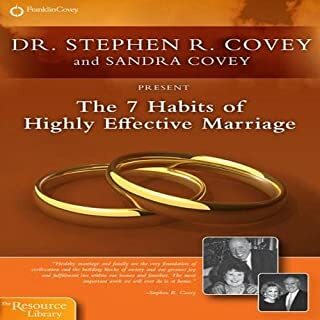 This book teaches you how to be a better person, a better coworker, a better manager, a better citizen, a better husband or wife, a better student. This book shows you how to proceed when you are not satisfied with the appearent dilemas. Got a lot of ideas for both my life and career, highly recommended to every type of reader. Would you consider the audio edition of The 3rd Alternative to be better than the print version? For me Yes, I do a lot of driving and that is a great time to listen to good books. I listened to this one several times now and each time it moves me to have great hope for overcoming the many difficulties we are creating for ourselves, on every level! It is also a great motivator for me because I recognize the weight and value of living responsible and godly lives: we can do it if we all start waking up to the gifts we have been given and develop them to make our own unique contributions.One problem with the reading of the book is that in the first part there is too much volume difference between soft spoken and louder spoken words. With the road noise it is often hard to hear the softer spoken sections. Later in the book that gets better. 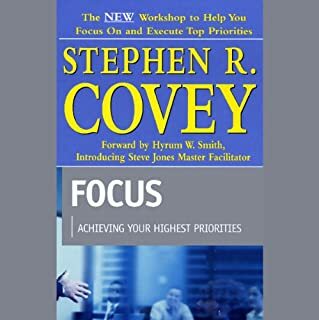 I was spoiled by Stephen Covey reading his own books; he has a very steady voice and is easy to hear.Another Seattle Covey Fan. What was one of the most memorable moments of The 3rd Alternative? In the beginning too much of a loudness difference so some parts of the sentence are hard to understand with road noise. Later on that improved. A slight nuance shift from emotion to excitement might improve it as well. By far, the best book I've ever read! This book is so inspiring, practical, positive, thought provoking, important. It describes a life journey that if adapted - can make all the difference in world! This is the second time I’m reading this book and it’s still very fresh information that is worthwhile for all human beings to think in a win win mindset. I have learned from reading this book that I need to learn to listen intently to others that have different opinions and understand their position very well. 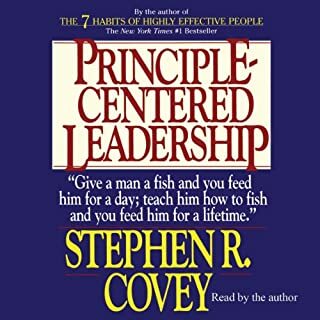 Thanks Stephen covey for writing this masterpiece. 🙏🏽🙌🏽 very grateful for this knowledge. Narrator is brilliant. Seems so passionate about it and sounds very similar to the author. 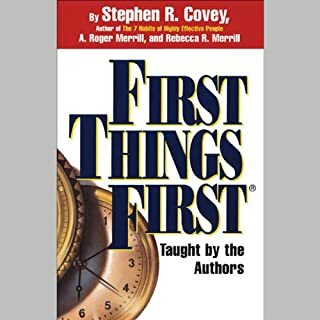 Great addition to Stephen Covey 's collection. the concepts and the examples are truly inspiring.